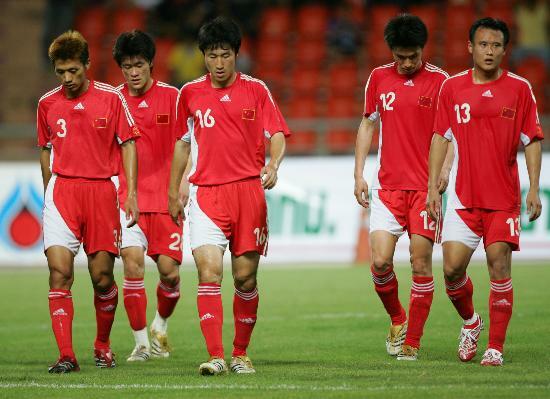 Why doesn’t China have a number one national football team? With their fast-growing economy, newfound wealth and the tendency to showcase national pride in the form of athletic prowess, it would seem like China has the potential to yield a great football team. Yet, declared a tragedy and often scorned by Chinese people, China’s national team are ranked 84th in the world. The team have only made it to the world cup once, and that was in 2002; they suffered 3 defeats and returned home goalless. The height of the team’s achievement so far has been to be runners-up in the 1984 and 2004 Asia cup. Even North Korea has qualified for this year’s World Cup, despite being a team ranked lower by Fifa (105th). Some may suggest that it’s due to lack of interest or is because it may take time for football to develop in China. However, football is popular in China on a gargantuan level and is being celebrated everywhere during this World Cup, with the advertising companies cashing in. Every bar has an enormous amount of local Chinese cheering on the teams (often both sides) and enjoying the competition, along with TV stations filming the crowds. Neither is football a new invention for China. China is suggested as being the birth place of football by Fifa, though other football nations may beg to differ… Also, between in the 1919 and 1930, China apparently had one of Asia’s best soccer teams. 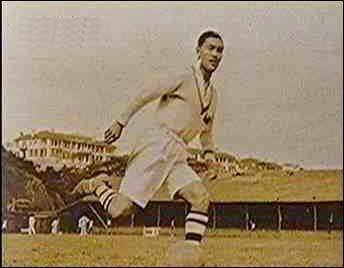 It was also home to Asia’s king of football, Li Huitang. The Chinese women’s football team, nicknamed the Iron Roses, has convincingly marched into this supposed fortress of male identity and stolen the prestige away from their male counterparts by performing consistently well in the Fifa Women’s World Cup, Asia Cup and Asian Games. China has the money, the population, patriotism, the history and and enthusiastic fan base to put together a world class team, yet has failed to succeed. How come? Journalists, soccer fans and academics put forward many reasons. The main reason is likely to be due to the scandal-plagued domestic football league. Corruption within the government run Chinese Football Association is rife; players can even bribe their way into the national team. Top officials accept bribes and fix matches, which effect the destiny of the sport. Crackdowns began last year with sports Minister Liu Peng vowing to crack down on gambling and match-fixing, which affects the sport nationwide. Despite being government owned, the sport receives little government funding as officials prefer to invest in sports like gymnastics or table tennis, which are guaranteed to produce a result. This means the league is turning to private sponsorship, increasing the risk for corruption. Many are calling for a major overhaul; the need for the rule of law to be established in China, as well as more transparency, radical changes and widespread reforms. These kinds of changes would affect the entire country and could perhaps be the base of a revolution in China. Another important factor is that few children play football or have a simple kick around with friends according to Beijing’s Guo An manager, so there are few children who develop a real passion for playing the sport and get to harness a natural talent. This is partly due to the following: a lack of emphasis on field sports by schools – children spending all their time studying; the lack of national football sporting heroes for children to follow; a lack of open green space in urban jungles like Beijing and Shanghai. There is also little grass-roots activity for the sport; neighbourhood groups don’t exist because the party frowns on homegrown organisations it doesn’t control. Salaries are also considered part of the problem. Like their western counterparts, Chinese players’ salaries are thought to be ludicrously too high. The flashy lifestyle they lead is thought to go to their head and affect their ability to play well. One reason put forward to explain why the women’s team is so stable is that their wages are a fraction of the men’s. Some also blame the old fashioned attitude towards sports training, which may work wonders for a swimmer or a badminton player, but won’t work for a squad of football players. Some also blame the confidence of the team and the Chinese concept of face. The team are often intimidated by other international teams. Arie Haan who was the manager of the Chinese quad from 2002 to 2004 said that the players were reluctant to take a shot at the goal in case they missed and therefore lost face. However, change is perhaps on the way. There are a fair few Chinese players playing for European teams, over the next 5 years the CFA will be sending 500 teenagers to train in Barcelona. The call to develop youth clubs has been recognised and as mentioned before, the sport’s minister is aiming on weeding out corruption linked to the sport. Middle-aged business man, Kong Debao, is also advocating change, but from a different angle. 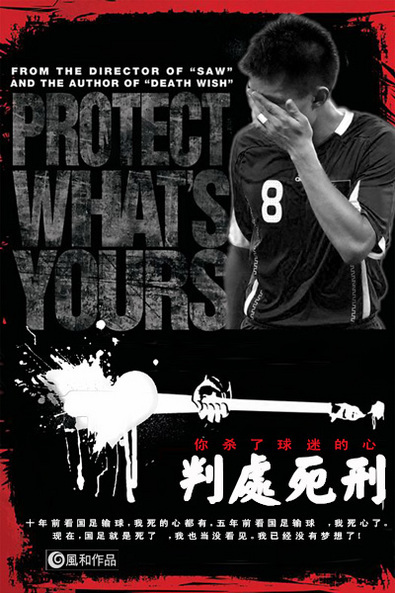 Obviously inspired by the 2001 Hong Kong comedy, Shaolin Soccer, Kong Debao came up with the idea to actually combine China’s national treasure, Kungfu, with the beautiful game. And not just as part of the fitness training. Kong started a martial arts school in Beijing’s suburbs that will give Kungfu infused football lessons with the aim of creating a new type of football. However, the sporting fruits of his labours have yet to be seen. Is this what Kong Debao has in mind? Just before I finished, I should just throw in the *shock defeat* of a below par France at the hands (or feet) of the Chinese football team. The goal was scored from a free kick with China’s first on target shot and with the much maligned Jubulani football1 . The current Chinese coach has cautioned against reading into the win too much, stating that it may be due to the French underestimating the Chinese team and that at the end of the day, the French did qualify for the World Cup. But perhaps maybe this is a sign of the team improving and of those crack down’s taking effect. Or maybe some of Gao Hong Bo’s men have been attending Kong Debao’s school of Shaolin Soccer? 1The most bizarre criticism of the ball has to come from Brazilian midfielder Felipe Melo. Whose jaw-droppingly suspect comment that the ‘ball is like a kid who doesn’t want to be kicked’ disturbed the hell out of me. For more musings about football in China, read my post: A nation of 1.3 billion weeps with England.